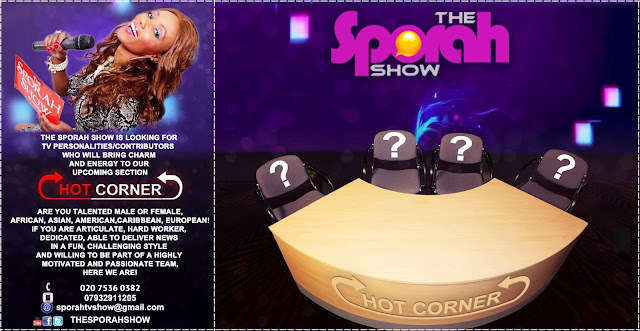 SPORAH TV: THE CASTING FOR OUR BRAND NEW SECTION: "THE HOT CORNER" IS STILL GOING STRONG.! THE CASTING FOR OUR BRAND NEW SECTION: "THE HOT CORNER" IS STILL GOING STRONG.! 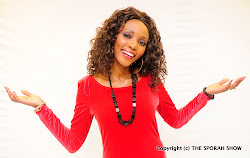 TODAY 26TH AUGUST 2012, IS OUR LAST DAY CASTING FOR OUR BRAND NEW SECTION: "THE HOT CORNER"
DO YOU HAVE A TV PERSONALITY THAT CAN BRING CHARM AND ENEGY TO OUR NEW UP COMING SECTION "THE HOT CORNER".! AFRICAN, ASIAN, AMERICAN, CARIBBEAN, EUROPEAN..! IF YOU ARE ARTICULATE, HARD WORKER, DEDICATED, ABLE TO DELIVER NEWS IN FUN, CHALENGING STYLE AND WILLING TO BE PART OF A HIGHLY MOTIVATED AND PASSIONATE TEAM.! 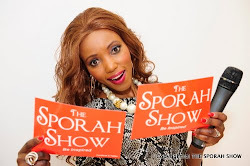 O yeeeesssssss i would love to be the next Sporah. Consider my application plse. 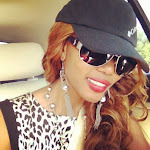 something is wrong with your website sporah, its sooo hard to comment on your post.